A slot is made just narrower than the width of the whip. Two sides of the whip are de-barked. It is critical the fit is perfect. Once in, the union is bound with rubber and heavy wire. Cheers John, thanks for the refresher. 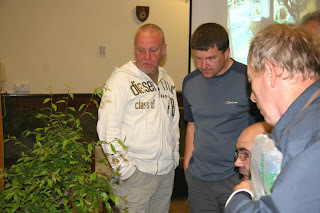 The position of the new branch/foliage is discussed. The whips are selected according to their position. Its best to take your time and get it right first time. 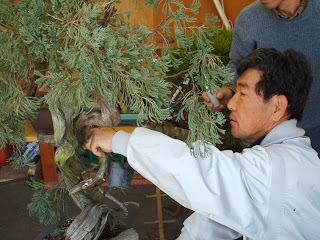 After my talk on the grafting techniques that were used at the nursery where I studied in Japan, I thought that it was probably too much information to take in one go. So, to refresh your memories and to cover the key points again, I thought that I would write something for your blog. 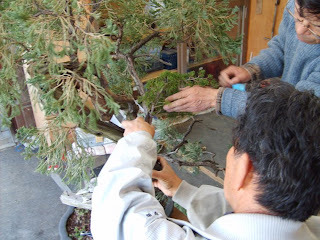 Generally we used the approach graft. This proves to be the most reliable method. 1. 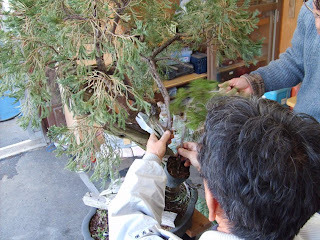 To replace undesirable types foliage. 2. 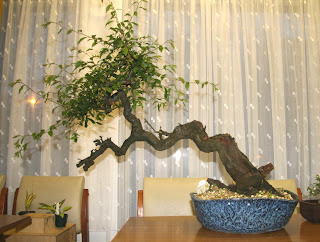 To grow branches in better positions. 4. 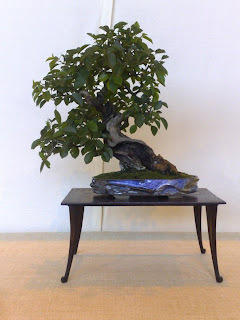 To alter the height/size of the bonsai. 5. 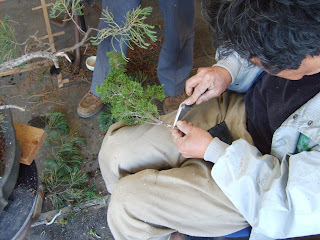 To make the design of the bonsai sustainable. 6. 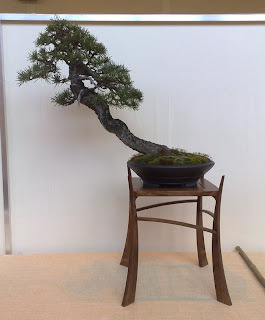 To make multiple bonsai from one piece of material. 7. To make use of difficult albeit character full material. It would be a waste of time to use these techniques on material that has little character or interest other for the sake of practice. Do not forget to water and feed the “whip”. It’s easily missed. 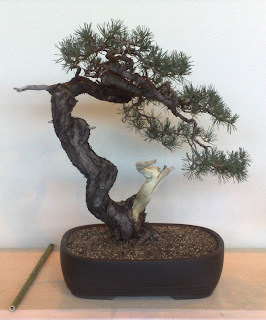 Do not imbed the whip too deeply nor to high in the base tree. Ideally they should be flush with each other. In order for the graft to take as quickly as possible, the match between cambium layers should be precise and performed with a very sharp knife. The longer the contact area the stronger the resulting graft with be. The whip should be fully immobilised. If it moves, it won’t take. Don’t be in a hurry to remove the bindings. Leave them for as long as you can bear to. In the case of grafting whips to make new roots. 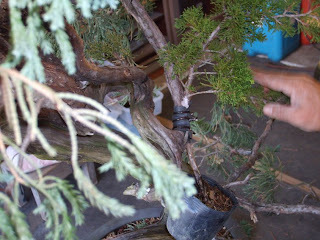 After one year, construct a polystyrene box around them to encourage growth and new roots direct from the trunk. I hope that this and my talk encourage you to give it a go. 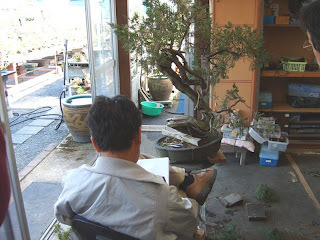 Ian introducing Johns interesting talk - the 1st half based on his latest trip to the bonsai school held at Nobuichi Urushibata sans Taisho En nursery in Shizuoka, the 2nd half highlighting the issue of grafting. ......and the tree in question! 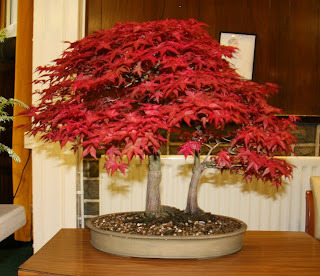 Plus a picture of a lovely maple brought along to the meeting . 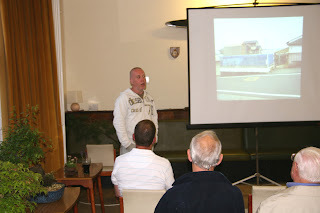 Hopefully more words and pictures on Johns talk can be posted soon following 'electronic' input from John himself. 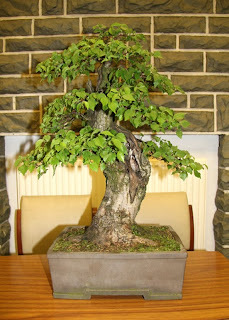 This months Tree of the month as chosen by John Armitage was "yours truly's" English Elm. 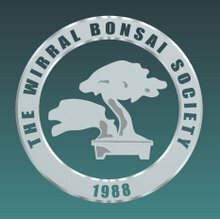 Further to the posts on French Bonsai, below is a comment from Duncan H (of Willowbog and BSA fame) with some links he provided that are well worth highlighting. Hi Iain - great photos. 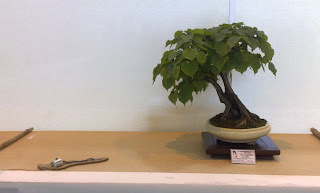 I managed to visit the EDG show in Carcassonne on Saturday whilst visting my family who live nearby - a really very good show with the vast majority of the trees in exhibition from yamadori origin. 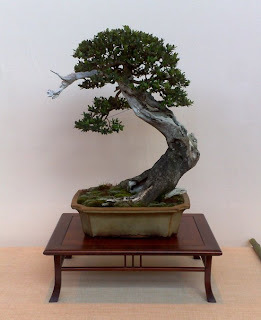 François Gau's Buxus are something else - absolutely fantastic. 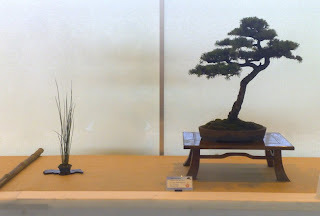 Olivier Barreau & many others had really top trees on show. Well worth the visit. I met up with Mike Andrews & Bryan Albright - also caught-up with John Pitt & his wife. 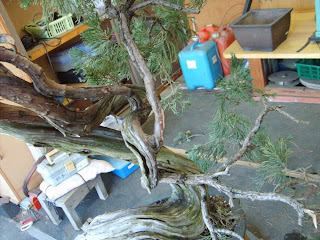 Lots of good ceramics and material for sale - mix of local yamadori & Japanese stuff mostlyI took a few photos and will be writing a report for Willowbog's Bonsai Chat at the end of the month. Apparently there was also a very big show in Carcassonne last weekend but I had to fly home on Friday to do the work thing!!!! The club poster-spotted in a local shop!! A pine atop an interesting table. What do you think Doug?? 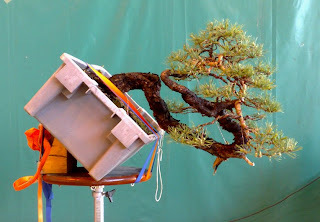 Olivier Barreau's very nice Box-my personal best in show. 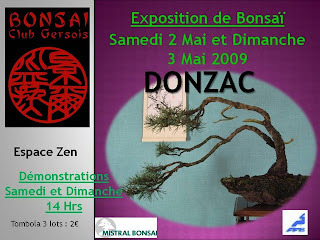 By way of an insight into your's truely 'on tour', please find above some pictures of a French regional bonsai show I visited on Sunday- The Bonsai Club Gersois. 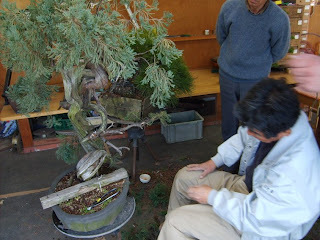 The members were friendly and the weekend included trade displays and items from Mistral bonsai from Spain! More to follow...... if I can find the pictures!